Naturally, therefore, quite a few of the speakers at the symposium will be talking about structural biology. Among these is Tom Steitz who shared the Nobel Prize in Chemistry in 2009 “for studies of the structure and function of the ribosome”; on Thursday he will be giving a lecture on “Understanding the function of the ribosome in protein synthesis from its atomic structure”. If I happen to speak to him then my most pressing question would address the change of perspective from a strict lock-and-key model of molecular interactions to induced fit models and, most recently, conformational selection models, and whether he has a preference for any of these. I also wonder what, as a structural biophysicist, his opinions are on the criticism of the structure-function paradigm (the notion that protein structure determines its function) in light of emerging evidence that many proteins contain intrinsically disordered regions. 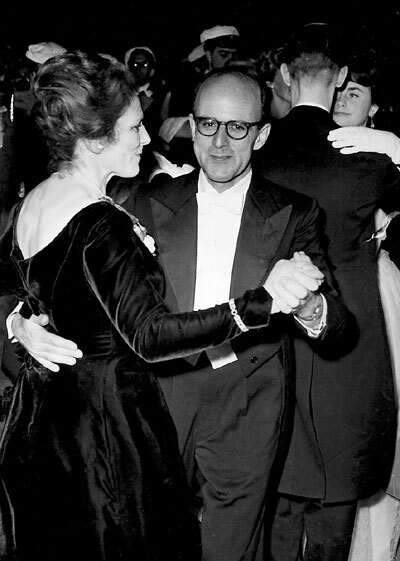 One of the speakers even worked with Max Perutz at the LMB in Cambridge: Michael Rossmann. Biochemistry students will be familiar with this name because a ubiquitous protein fold, the Rossmann fold, consisting of two β-α-β-α-β (α-helices and parallel β-strands) motifs, is named after him. Elena Conti is also a structural biologist who works at the Max Planck Institute in Munich. Her talk is entitled: RNA degradation – a complex affair. And from looking at her research group’s recent publications it seems that they study CRISPR components at the structural level, so maybe I’ll learn some more about the structure and mechanism of CRISPR. Speaking of CRISPR, and as I already mentioned in my previous post, Emmanuelle Charpentier, one of the pioneers of CRISPR research, will be lecturing on “From bacterial adaptive immunity to genome-engineering”. My question to her is how she imagines that CRISPR/Cas9 will concretely be used in gene therapy – what sorts of diseases will be tackled? What sort of timeline are we talking about? How should one go about educating the public, and patients in particular, about this tool/method? Lastly, another Austrian scientist caught my attention: Renée Schroeder. She leads a lab at the MFPL that does basic research on a whole variety of RNA functions. In 2003 she became the second woman to be elected into the Austrian Academy of Sciences (Österreichische Akademie der Wissenschaften), but in 2012 she resigned from this prestigious post because the Academy “was lacking in its promotion of excellence in research and its encouragement of scientific breakthroughs” (my translation; original article: http://derstandard.at/1336435227923/Akademie-der-Wissenschaften-Leute-die-einfach-nicht-die-besten-sind). I would ask her whether there have been any repercussions at the Academy in response to her open letter. Wish me luck at the conference so that I will not hover in the background, not speaking to anyone. Thanks to this blog entry from Addgene (http://blog.addgene.org/how-to-make-friends-and-meet-people-at-a-scientific-conference) I have at least some clue of what to do and how to behave. Any other tips from experienced conference-goers would be greatly appreciated! 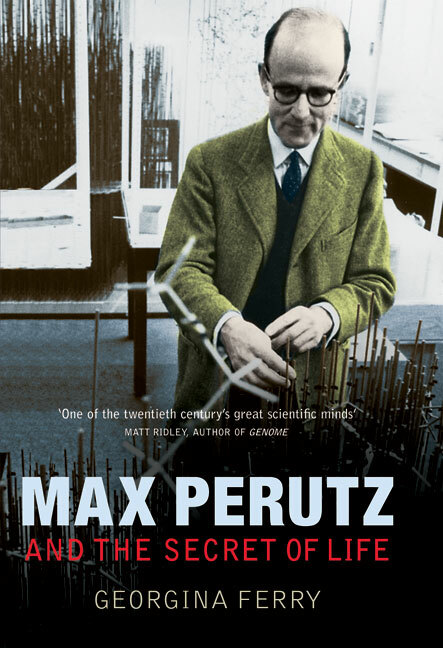 Lastly, if you’re interested in knowing more about Max Perutz I recommend this biography by Georgina Ferry (image from CSHL Press website). I’ve only read about a quarter of it, but found it enjoyable so far and will finish it when I get back to Cambridge. This entry was posted in Conference and tagged Max Perutz, MFPL, Symposium by Victoria Wang. Bookmark the permalink. all these questions and potential answers… also important to educate practising physicians so there is a linkage between scientists/ doctors and patients. 7. Not to forget to praise them for their great work, no one is above sincere flattery !! !